Plumbing Experts is your local, fully licensed & professional BBB A + Rated Coral Springs plumber. Is someone in your Ramblewood household running around right now trying to find tools and towels to soak up water from your overflowing toilet? Or maybe your Spring Circle Villas condo faucet is dripping and costing lost gallons of water bills? If so, you need Coral Springs most popular plumber – Plumbing Experts! Trying to fix drain, shower or toilet problems yourself with limited tools and expertise can often lead to bigger leaks and bigger headaches. 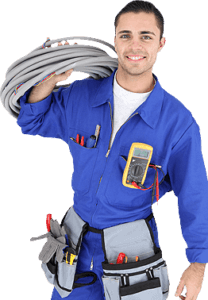 Plumbing Experts emergency plumbers in Coral Springs FL are fully insured, they have the right tools – from pipe cutters and blowlamps to augers and drain cameras and years of experience to get the repairs done quickly and efficiently. Friendly help is only a call away! 954-607-4977. ● A prompt – 30 minute response time, emergencies aren’t planned so plan on seeing us within 30 minutes of your call. ● Technology – This superior equipment enables us to locate and identify obstacles or dangers prior to digging and tunneling. ● Service vans with heavy duty VAC-CON suction/pumping machines for big jobs requiring lots of power! Still not convinced to just leave it to the plumber? When plungers, duct tape, bubble gum, paper clips and other MacGyver type solutions don’t seem to do the trick, you may end up with something you didn’t bargain for and don’t need – an emergency plumbing problem! Why live and die with DIY? Wouldn’t you rather be watching the latest blockbuster at Regal Magnolia Place Stadium 16 or Silverspot Cinema or trying on the new Red Button Escape Rooms? There’s no escaping a clogged sink or leaking water heater so why not just give the experts a try? Water can quickly damage a home to the point that costly repairs are inevitable. Even a small pipe leak over time can turn into a big problem. If plumbing issues have you scrambling for a quick solution, call our licensed Coral Springs Emergency Plumbing Experts at 954-607-4977. 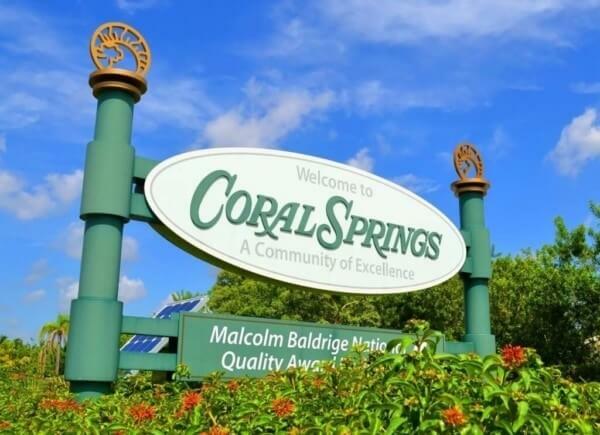 For over 25 years we have been providing fast, efficient, affordable emergency repair solutions for Coral Springs residents in need of assistance. Our local customers will tell you they depend on the experience and continued tradition of excellence we offer. At Plumbing Experts our trusted licensed master plumbers are on-call 24/7, here are just a few examples of our quality guaranteed. Our Plumbing Experts emergency service repairmen are experienced in virtually every system and situation, whether it’s in a residential, commercial or industrial setting. Coral Springs residents from Sample Road to Wiles Road, Coral Springs Drive to Royal Palm Blvd. trust their local, affordable plumber. We are a family-owned and operated licensed plumbing company offering big company support with small company 1 on 1 customer service. Emergencies don’t just to away on their own. Let our highly-trained Coral Springs plumbers come to your rescue! On-call 24 hours a day, 7 days a week, holidays included; we’ll be there within 30 minutes. One call is all it takes to have our team of skilled professionals ready to handle your plumbing needs anywhere in Coral Springs! If you need fast, reliable, expert plumbing services call now for a free on- site plumbing evaluation. Let our qualified, licensed, experienced ( and friendly ) professionals assess your situation and advise you of a course of action. Once we are on the job you’ll quickly realize you made the right decision. Call Coral Springs Plumbers – Plumbing Experts at 954-607-4977 or click here for a free quote.